A classic example of resolving conflicting needs within a mixed-use development, the Queensmead Centre in Farnborough presented some interesting acoustic design challenges. 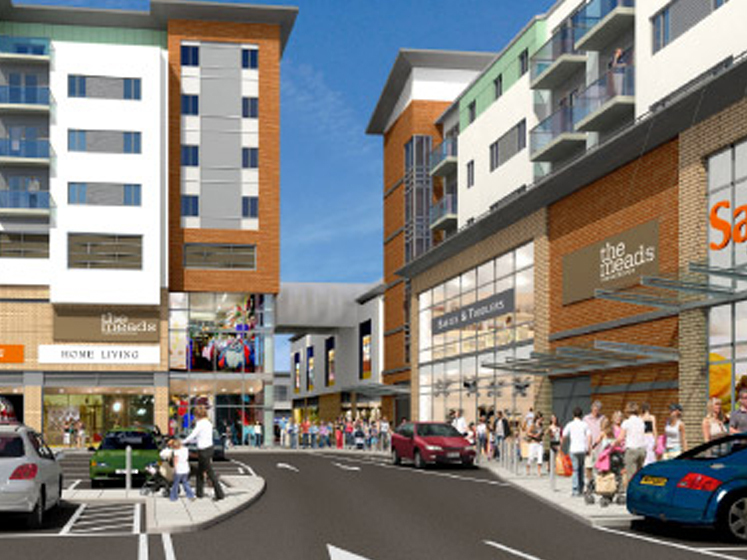 This major development comprises not only retail and restaurant units, but also residential flats and a hotel with a supermarket directly beneath them. 24 Acoustics were tasked not only with designing solutions to protect occupants of the flats and hotel from noise from the supermarket (particularly night-time re-stocking), but also minimising noise disturbance to hotel guests from the busy adjacent road.